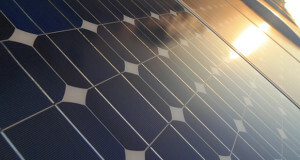 There are a lot of solar panel devices out there today. Some charge your technological devices, some power lights, and others power entire homes. 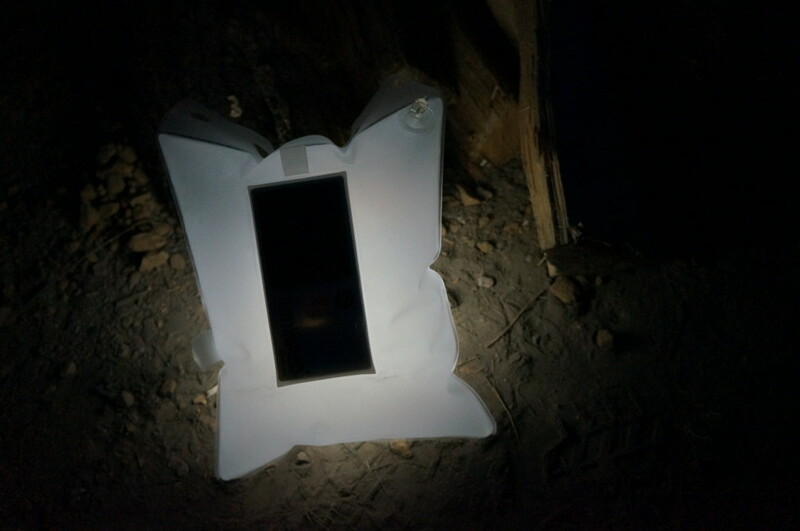 The LuminAID solar powered inflatable light has the basic characteristics of a solar power device but differs in its appearance and functionality. How does the LuminAID Look? The first thing you notice when looking at the aesthetically pleasing, LuminAID is it’s compact size and large solar panel on the front. The front of the LuminAID is half solar panel with the bottom portion housing the power switch, battery indicator and button fastener. After taking it out of the package, I released the fastening button folded out the light. It lays flat and is about the size of a piece of computer paper. It has a handle at the top for easy transportation along with two holes on both sides of the handle that allow for easy tie up. 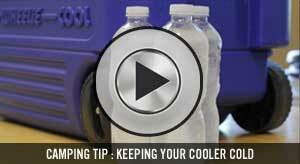 It really is handy for camping and can easily be put in your tote. You’d barely know it is there! One thing I would recommend is to have a carabiner. This allows you to fasten it to almost anything. 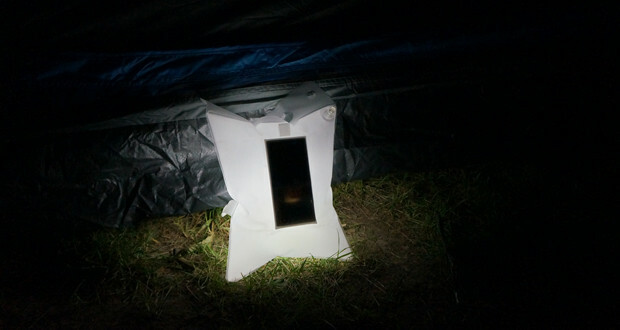 I had it fastened to the top of my tent, which illuminated the space well. 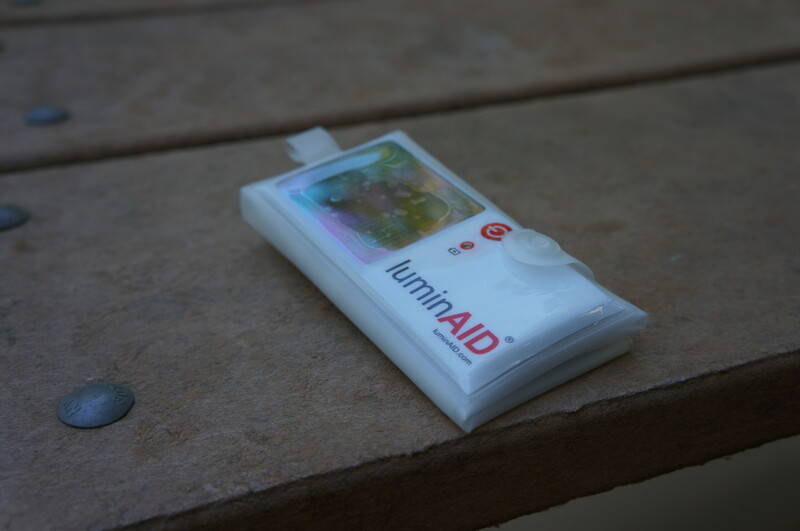 How Does the LuminAID Work? 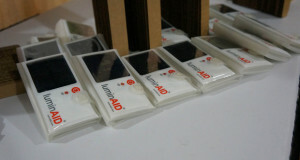 What makes this light so different from all of the other solar powered devices out there is that the LuminAID is inflatable. 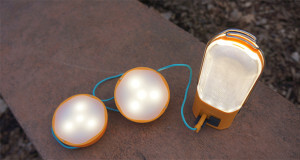 This gave me the feeling that it was more portable and flexible than the average lantern. 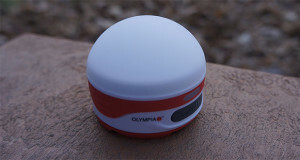 Another plus to the solar powered light is its ease of use. 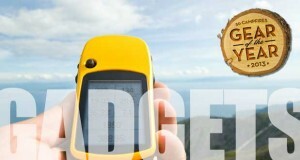 To charge just make sure the red indicator light is on and lay it in the sunlight. Once it had seen plenty of sunlight throughout the day I just opened the valve in the upper right corner and inflated. It only takes a few seconds to fill up. The inflation is key to diffuse the powerful LED lights and provide a softer light. 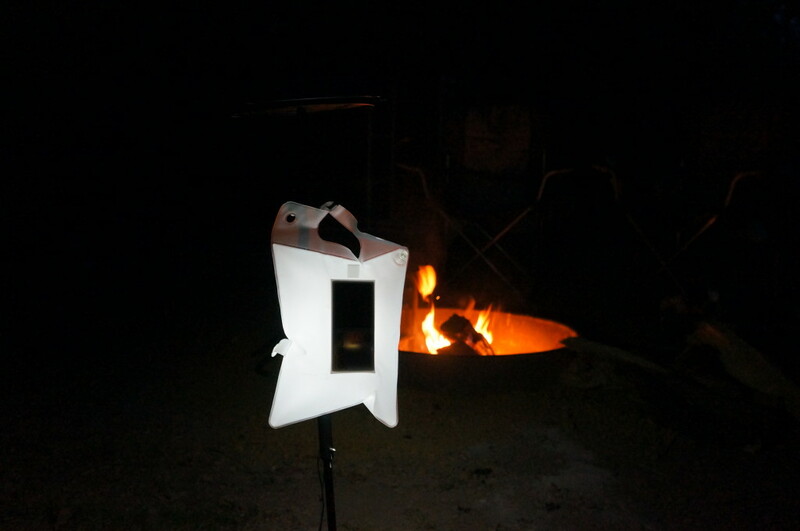 We have been using the LuminAid over the past 3 camping trips and have found many uses for it. It is just so light, something like 3 ounces, so you barely even know you are carrying it. 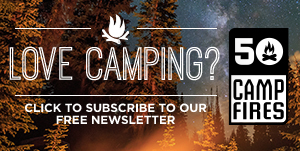 It is great at providing soft light for the entire campsite making it easier to get around. We also use it when heading to the bathroom. Just have a carabiner and attached it to your belt loop allowing hands free transportation. 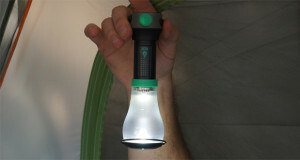 At around 30 lumens on high it pumps out enough light to easily get things out of the cooler, car or tent. We never truly gave it the 5-7 hours of sunlight charge time that it requires for a full charge. We did have it out for about 3 hours and it easily gave us 4 hours of continuous light on high. Being that it is waterproof we have even brought it out with us on a quick kayak trip at dusk around the lake we were camping at. It certainly does float and provided great light as we paddled around the lake. At $19.95 this is a great little solar powered light that will offer many uses around the campsite, on the hiking trail or in the kayak/canoe.